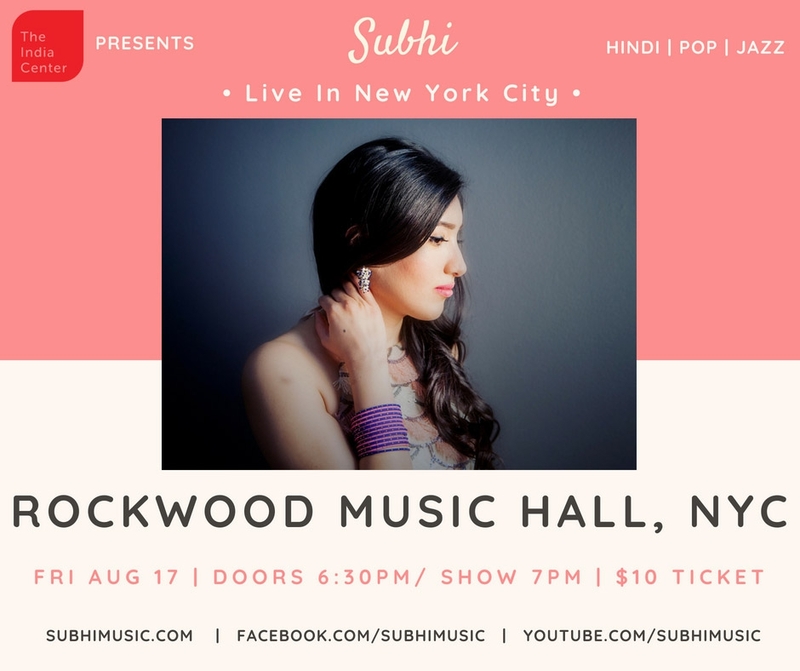 Subhi: Live in New York City! Please join us to support emerging vocal talent Subhi in her national tour, mixing jazz music and Indian vocals into Hindi Pop Jazz. Her band consists of members from India, Mexico, Belize and America — all living in Chicago and all blending the cultural diversity of our their nation into her music. She has performed in venues from the Kennedy Center to SXSW.